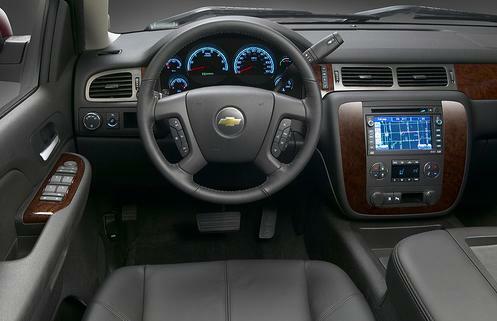 Chevy’s 2010 Tahoe and Suburban pair sturdy, capable truck underpinnings with more modern car-like interiors and features and they stand out for their comfortable ride and decent handling. With the addition of the Hybrid model, introduced in 2009, trailer towing need not exclude fuel economy. The 5.3L and 6.0L engines both come equipped with Active Fuel Management, which cuts off fuel to half of the cylinders in some conditions when full engine power isn’t needed. The stiff, fully boxed frame of Tahoe and Suburban helps provide the structure for heavy hauling and towing and also reduces vibration in the passenger cabin. There’s also extensive noise-reduction material used throughout the models inside the headliner, over the engine, in front of the dash and in door seals. Luxurious LTZ models get a smooth Autoride suspension system, which has two modes of damping-one firmer, one softer-which it can switch between quickly depending on driving conditions. Awesome pictures. Even the performance of the vehicle is pretty decent with good fuel economy. All the trims in the lineup has pretty decent configuration. Thanks Charmy! 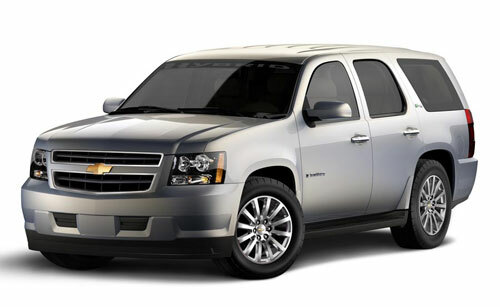 Yes, the fuel economy of the Tahoe has never been better! I appreciate the feedback and will definitely take your advice into consideration on future blogs posts. Thanks again.